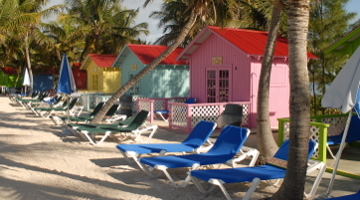 Princess Cruises have recently given their beautiful exclusive island, Princess Cays, an extensive refurb. Set in the warm Caribbean sun on the Bahamian island of Eleuthera, Princess Cays offers guests the perfect private getaway during their cruise. Take a look at our range of Princess Cruises Caribbean cruises and discover this amazing private island for yourself.